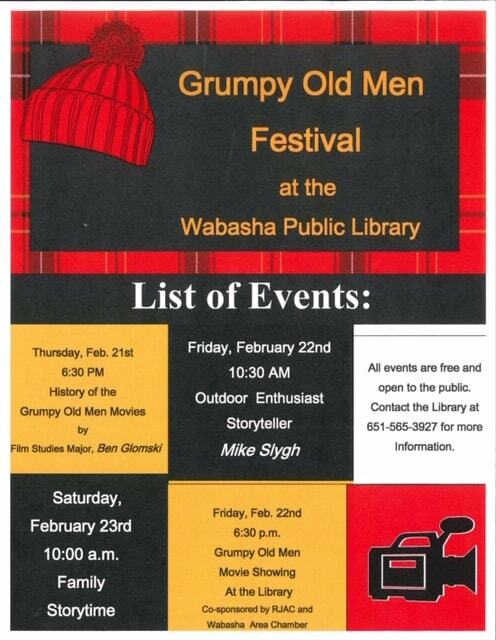 Celebrate the Grumpy Old Men Festival with fun events hosted by the Wabasha Public Library! All events are free to the public. Contact the Library at 651-565-3927 for more information.